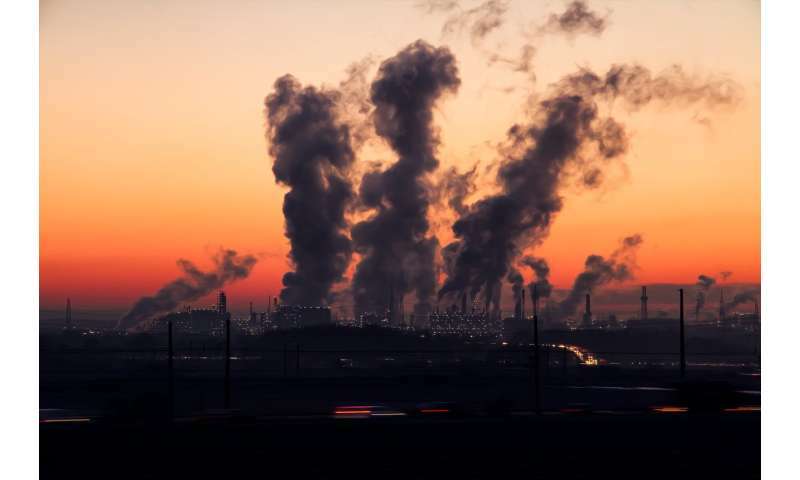 More than 80% of people living in urban areas that monitored air pollution exposed to air quality levels that exceed the World Health Organization (WHO) limits. While all regions of the world are affected, populations in low-income cities are the most impacted. 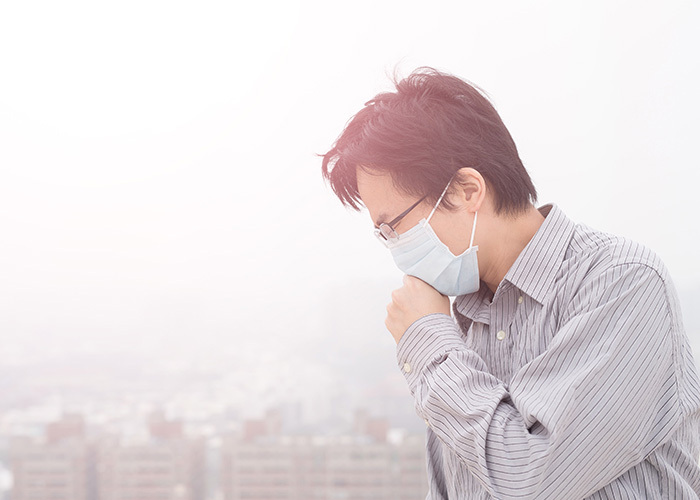 According to the 2018 air quality database, 97% of cities in low- middle income countries with more than 100000 inhabitants do not meet WHO air quality guidelines. However, in high-income countries, that percentage reduced to 49%. In the past two years, the database – now covering more than 4000 cities in 108 countries – has nearly doubled, with more cities measuring air pollution levels and recognising the associated health impacts. That’s why; the City Tree has been developed. It is small and mobile vertical Plant wall that filters surrounding air and reduce noises. City Tree provides clean and cool air which is economically profitable. Green City Solution is a German company which made city tree for reducing air pollution. Green city solution’s CEO and his team’s start up is proposing an intriguing solution; a piece of urban furniture that combines the power of biology and the ease of automated Internet of Things (IOT) technology to create, what’s called city tree. Also Read: “IoT Integration” – Smart Building: Is It Changing The Way We Live! City tree is recyclable unit with living, breathing air filter that can be set up in cities. It also measures pollution types and levels. City Tree unit actively clears the air through a careful mix of plants that work like a small forest. City tree cleans air as much as 275 trees. The technology behind the city tree is Biotech with IOT (Internet of Things) and UID (Unique Identifier). Green City Solutions uses a variety of plants that offer superior air filtration, including mosses and lichens. According to the four co-founders of the city tree, they use plants which have a comparatively large leaf surface, so plants can absorb a higher rate of pollutants. The structure is designed for the space it will occupy, with different woods and plants for every urban environment, and measures 4 meters tall by 3 meters wide, with a 60cm base required for the freestanding unit. City Tree is a self sustaining moss unit which is equivalent to 275 trees per year for air cleaning. 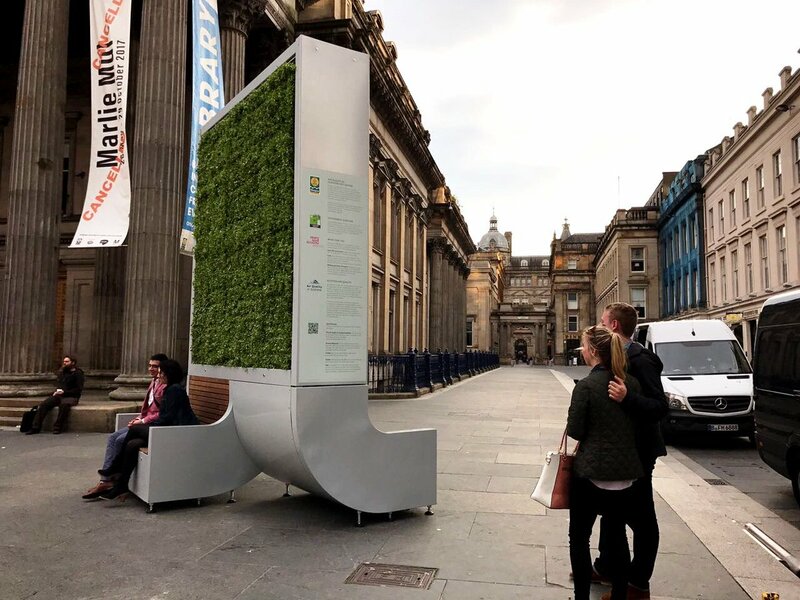 City Tree combines specific moss cultures with vascular plants that eat particulate matter, nitrogen dioxide (No2) and Ozone offsetting 240 tonnes of carbon dioxide (Co2) equivalents per year in total. City Tree also uses solar panels and rain water retention systems and it takes only few hours for maintenance in a year. The installation is self-actuating via sophisticated controls and monitoring. The water supply is monitored and plants are watered via captured rainfall from a tank also containing nutrients, with the water pumped around the growing areas using power generated by solar panels. Indoor setups can have their tanks refilled for watering, but still need far less maintenance than a tree. Each unit is able to capture around 240 tons of carbon dioxide annually, according to the company. In addition, the City Tree can provide power for Wi-Fi hotspots, e-bike charging stations, or transport or tourist information. Green City Solutions receive all captured data for monitoring environmental data, and real-time performance of the City Tree, making it a true combination of the Internet of Things and green living. The company was a finalist in the 2017 Chivas Venture prize, won the Green Alley Award in 2016, also included in the European Forbes list for sustainable world improvers under 30 in the Social Entrepreneurs category, and has received funding from the German government. Originally based in Dresden, the company has moved to the Euref Campus in Berlin’s Schoenberg district. City Trees have been installed across cities in Europe, from the company’s home city of Dresden to Oslo, Paris, Hong Kong, Budapest, Glasgow, and more, with each as effective as 275 trees using 99 per cent less space, and at just five per cent of the cost. City Tree is too compact in size and can be easily installed everywhere so it can be use for a single houses or large societies in the future. Here approach a solution for cities with high air pollution. In highly dense cities with equally high vehicle density, like Mumbai or Karachi, Delhi or Lagos, Bangalore or Kolkata, this new start up give a big hope for cluster houses and densely situated houses an urban conglomeration. Previous PostPrevious WAYU (Wind Augmentation Purifying Unit): Is it a Feasible Option for Air Pollution Control? Next PostNext Suffering from Backache? Know about Ergonomic Office Furniture!